Since March this year, criminal barristers have been on strike. They are rejecting state-funded cases, to protest cuts to legal aid that are keeping those most in need from accessing adequate legal representation. On the 8th May, Labour MP Richard Burgon stated in the House of Commons that 90% of criminal barristers voted for this industrial action. The justice system is facing a crisis over this issue. For immigration cases, the scope of legal aid has been rolled back considerably. Now, it primarily covers applications for asylum. Previous grounds for legal aid included detention appeals, support for victims of trafficking who wished to remain in the UK, and asylum support (e.g. housing or maintenance funds). A report led by Labour’s Lord Bach stated that legal aid funding had fallen by £950million from 2010-2017. The aforementioned Richard Burgon MP also stated that, since 2010, the Ministry of Justice’s budget is expected to be slashed by a further 10% (£600million) in the near future. The lack of legal aid provisions has resulted in serious difficulties for many refugees, including children. Amnesty International warned, in 2016, that teenagers may be forced to represent themselves in cases where they face deportation, due to the lack of legal aid. When asylum seekers are denied legal aid, they are left particularly vulnerable to exploitation. They are not given the right to work until their applications for asylum have been approved – which means that they must depend on their savings, or support from family and friends, to pay their legal fees. If their cases are unsuccessful, failed asylum seekers are stuck – many detained indefinitely or facing removal – with no money to pay for additional appeals, and no recourse to public funds. According to a study by BiD UK, less than half of those in detention in the UK have access to legal representation, with just over half of this number saying they have a legal aid solicitor. Of 12,688 applications for asylum between January and June 2017, only 613 applications for legal aid were granted in the same time. There were also only three non-asylum cases granted legal aid last year. The government’s ‘hostile environment’ policies, which seek to make life as difficult as possible for undocumented people in Britain, have added to the injustices suffered by migrants (or those perceived to be such). In recent weeks, the Windrush Scandal has dominated headlines in the UK. It was revealed that thousands of people, who were invited to come to the UK from the Caribbean (then a part of the Commonwealth) some seventy years ago, have had their right to be in the UK challenged. Many have lived here for their entire adult lives, but have recently been sacked from long-term jobs, denied benefits, and lost their housing. The latest news revealed that 63 people may have been wrongfully deported. In light of the cuts to legal aid, the Windrush generation may be unable to access support to secure the legal status that they are entitled to. Former Home Secretary, Amber Rudd, has promised to waive fees for the relevant applications. However, applicants will still need to provide extensive documentation of their time in the UK before the Home Office grants them Indefinite Leave to Remain or British Citizenship. The Immigration Advice Service, one of the largest immigration practices in the UK, have had their legal aid contracts renewed in most major cities. In addition to this, new contracts in Newcastle, Derby and Bristol have been granted, as well as contracts in every detention and removal centre across the UK. While these grants are gratefully received, this does not indicate a widespread move by the government towards increased legal aid. Many law firms that accept legal aid cases will still be struggling under the massive demand, which outweighs their capacity and resources. While IAS will be using this increased support to help some of those most of support, the struggle for fair access continues on throughout the justice system. This article was written by Damon Culbert, a specialist content writer for the Immigration Advice Service. The IAS was formed out of the Immigration Advisory Service, the UK’s leading immigration law charity. They have aimed to stay true to their charitable history, undertaking many legal aid cases alongside commercial immigration services. United Nations’ human rights experts have urged the French government to improve the “inhumane” conditions faced by refugees and migrants in Northern France. A recent statement, released by the UN and drawing on the warnings of three Special Rapporteurs, highlights the challenging situation faced by refugees and human rights defenders – including Help Refugees’ teams and partners – in Northern France. His warnings come after months of advocacy by Help Refugees and our partners with regard to the water and sanitation conditions in Northern France, including a report published by independent WASH expert Ella Foggitt and litigation in French courts. The experts called for the provision of valid accommodation alternatives for the hundreds of refugees currently sleeping rough in Northern France, and said that dismantling informal and incipient camps was not a long-term solution. This comes after a week of heavy clearances by the French riot police, including the destruction and seizure of refugees’ property and tents. “We are concerned about increasingly regressive migration policies and the inhumane and substandard conditions suffered by migrants,” said the Special Rapporteur on the human rights of migrants, Felipe González Morales. The experts also noted the harassment and intimidation of volunteers who are working in Northern France, and called on France to fulfil its obligations and promote the crucial work of human rights defenders. Help Refugees’ Field Manager for France, Annie Gavrilescu, said that: “A new worrying pattern is emerging, in Calais and across Europe, of criminalising aid workers. This comes in the context of significant aggression, violence and neglect that refugees themselves face from the police. “However, any intimidation, harassment, criminalisation or hindrance of humanitarian aid is simply unacceptable and reminiscent of a very dark time in history. Human Rights Watch and a UN Special Rapporteur have also condemned this phenomenon. Help Refugees is the largest facilitator of aid in Northern France, and provides a range of services from food to child-specific support. Conditions in Calais and the surrounding area are dire, but our resources are already strained. Please, if you are able to donate, do so here.Thank you. The situation in Northern France remains acute, following the end of the so-called “Winter Truce” and the destruction of people’s possessions and shelters. The community is mourning the loss of another young man’s life, who was critically injured in an incident on the port bypass. Our partners at the Refugee Info Bus write with the latest news from the ground. A young man has died following an incident on the port bypass in Calais on Friday 23rd March, 2018. He was hospitalised and placed in a medical coma in Lille. He passed away from his injuries on Wednesday 28th March, 2018. He was born in Eritrea in 1996, although other sources have already incorrectly reported that he was 16. 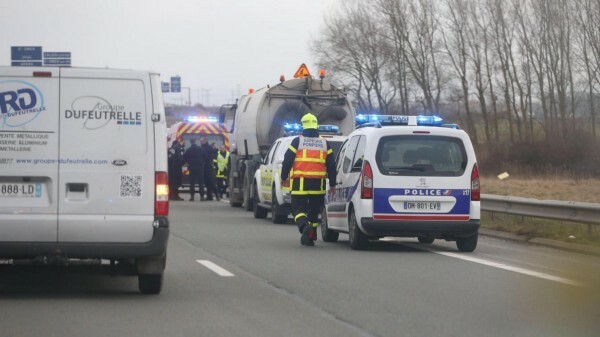 Details of the incident itself are unknown, but it is yet another unnecessary death in Calais which has been caused by the risks that individuals take in attempting to cross the border. The lack of safe and legal passage for people trying to reach the UK has led to over 200 deaths since 1999, according to L’Auberge des Migrants. Trade continues on unhindered as yet another young man fights for his life at the roadside. European citizens can cross the English Channel quickly and with ease, and yet this is a privilege not afforded to our non-European friends, leading people to take dangerous and, as we have seen far too many times, sometimes fatal risks. People would not put themselves at the mercy of smuggler gangs in Libya, risk their lives crossing the Mediterranean Sea in sinking boats or try to reach safety in refrigerated trucks if it wasn’t seemingly better than what they left behind. Eritrea is a country in turmoil, and has been described as Africa’s North Korea. Despite only having a population of 5 million people, it has generated one of the world’s largest refugee populations, according to Meron Estefanos, an Eritrean journalist and activist who writes on the situation in Eritrea and of Eritreans around the world. In March 2018, the UN Human Rights Council held a dialogue on human rights abuses in Eritrea, which details that “in 2016, the Commission of Inquiry on Eritrea had found reasonable grounds to believe that crimes against humanity, namely, enslavement, imprisonment, enforced disappearances, torture and persecution had been committed since 1991”. In Calais, the so-called “Winter Truce” has ended on April 1st, 2018. This means that the sporadic emergency shelters opened over the winter months on particularly cold nights will no longer be opened, and that the 700+ refugees sleeping rough in Calais are condemned to the streets and the woods. However, even while the “Truce” was in place, shelters were opened sporadically, were run poorly, and only housed a fraction of the refugee community in Calais. Despite Macron’s promises that there would be no people sleeping on the streets by Christmas, the shelters were not even open on Christmas Day, and hundreds of refugees in Calais have not spent even a single night inside over winter. 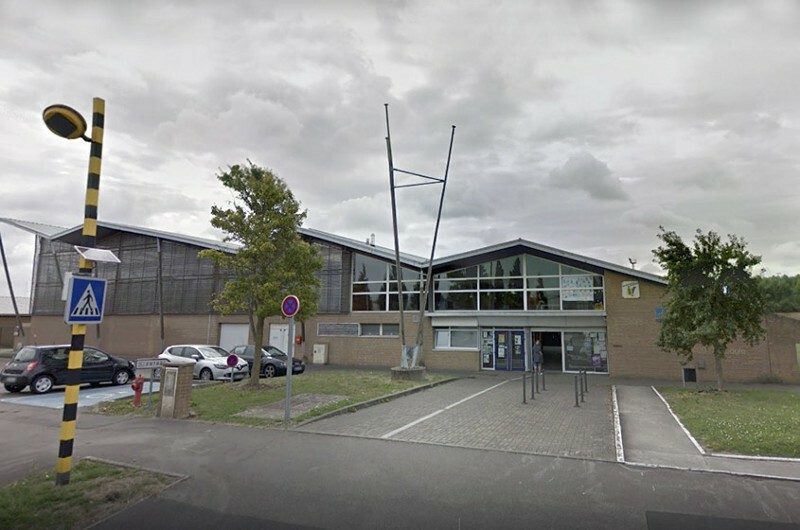 In Dunkirk, the state opened an emergency accommodation centre for the entirety of winter — a gym which accommodates around 200 people. The gym will temporarily stay open past the April 1st cut-off date, which is good news for those already inside. However, for new arrivals to the area, or for those who did not manage to get a place inside over winter, sleeping outside remains the only option. Many people, including women and young children, are sleeping in the street outside the gymnasium, denied entry to the warm and dry accommodation behind guarded doors. The CRS (French riot police) continued their dismantlement operations across the city last week, culminating in an eviction of the camp at Rue des Verrotiéres. Over 40 police officers and employees of the local authorities removed and destroyed what little shelter the communities living there had established in the preceding week, including a large tent that had served as a makeshift mosque. The dismantlement took place at the same time as the state-funded food distributions located nearby, meaning that a number of the people we support had left their belongings in order to eat breakfast, only to find all of their belongings had been confiscated upon return. To quote the prescient words of an Eritrean minor, issued at the outset of the state-funded food distributions: “that government gives us food with one hand, and takes our tents with the other”. Even more worryingly, we have heard numerous reports that the Police aux Frontiéres arrived just minutes before the onset of the dismantlement, detaining up to 20 people, the vast majority of whom were released from the detention centre immediately, forced to return to their living area by foot, a journey which takes several hours. Volunteers at the L’Auberge des Migrants/Help Refugees warehouse responded, as we do following every dismantlement, by distributing tents and bedding to those without shelter, in spite of the police summons issued to four volunteers the previous week for replacing confiscated tents. According to InfoMigrants, a new system of asylum is to begin in France in May 2018. People seeking asylum in the Paris region will have to begin the process by calling a telephone helpline run by OFII. The only languages available will be English, French and Arabic. The move is in order to reduce the number of people turning up at Padas (“platform for asylum seekers”) which cannot cope with the current number of requests. However, France Terre d’Asile, the organisation which runs Padas in Paris, claims that the hotline is too complicated for people trying to claim asylum. “This doesn’t make things simpler,” says director Pierre Henry. “I don’t think that this helpline is a good model for helping asylum seekers access their rights. I fear that at least some migrants will struggle to understand this service”. This article was prepared by our partners, Refugee Info Bus, and originally published on Medium. The world’s newest country, South Sudan, has been embroiled in a civil war for over four years. This has given rise to the largest refugee crisis in Africa, as millions of citizens have fled brutal violence and acute food insecurity. The UN estimates that one-third of South Sudan’s pre-war population of 12 million has been displaced since fighting broke out in December 2013. While around half of the displaced have crossed borders into neighbouring countries and beyond, approximately 2 million are internally displaced and face severe food shortages. Two-thirds of South Sudanese refugees are children. What are the causes of this conflict that has uprooted so many individuals in South Sudan, and what is being done to end the fighting? The history of South Sudan has been punctuated by instances of violent conflict. After securing independence from an Anglo-Egyptian occupation in 1956, the new Sudanese Republic descended into a 17-year civil war between northern and southern groups. A ceasefire was agreed in 1972, but fighting resumed in 1983 and continued until 2005 – making it the continent’s longest-running civil war. The North/South Comprehensive Peace Agreement, signed in 2005, led to the formation of the Autonomous Government of South Sudan and provided for an independence referendum to be held in 2011. The vote finally delivered secession from the Sudanese Republic, and South Sudan became the world’s youngest nation – only for the present civil war to take hold, within the new republic, in 2013. What sparked the present civil conflict? In December 2013, President Salva Kiir (an ethnic Dinka, the country’s tribal majority) sacked Vice-President Reik Machar (an ethnic Nuer, the largest minority group) and his entire cabinet to prevent a suspected coup, sparking an outbreak of violence. Machar fled the capital city to lead the Sudan People’s Liberation Movement-in-Opposition against the government. What began as a political feud has since become a protracted conflict, in which the warring parties’ leaders have manipulated tribal and ethnic divisions in their pursuit of power. However, the conflict cannot be presented as a “a simple, binary competition between the Government and SPLM/A in Opposition and their respective tribal bases.” It is a multifaceted war, in which identities have been exploited and now serve as a cloak for resource competition, unaddressed grievances, and shifting political allegiances. The deteriorating political and humanitarian situation has created and exacerbated rivalries among other groups, of which there are more than 60, aside from the central Dinka-Nuer narrative. In December 2017, violence spread to the northern state of Western Lakes, where 45 people were killed in fighting between Ruop and Pakam tribe members. Even within the dominant Dinka and Nuer groups, factional infighting has claimed victims. ‘Things have grown so chaotic that many of the civilians fleeing to the U.N. base aren’t sure who is doing the killing anymore,’ wrote Foreign Policy reporter, Cassandra Vinograd, in 2017. The acute risks in South Sudan are highlighted by its citizens’ willingness to seek sanctuary in unstable regions such as Darfur, and to cross the border into the Democratic Republic of Congo, a state in the midst of its own conflict. Over a million South Sudanese refugees fled to Uganda in just a year (July 2016-2017), a country that has received well-deserved international praise for its progressive asylum policies. However, there remains an urgent funding shortfall that must be redressed by the international community – both within and outside South Sudan. For the 2 million individuals who are internally displaced, conditions are more dangerous. Still at risk of becoming targets in the sprawling conflict, those within South Sudan are also facing an acute shortage of food. In October 2017, The Economist reported that over half the remaining population is going hungry, and that a full-scale famine was narrowly avoided by the arrival of food aid. Health threats such as cholera and malaria are spreading quickly in the absence of adequate medical resources. The UN’s Mission in South Sudan (UNMISS) has been present since 2011, though their priorities have changed from post-secession peace building to the protection of civilians in the present conflict. The 14, 000-strong peacekeeping force faced initial criticism for their failures to secure civilian safety – including for those staying at UN Protection of Civilians sites – but much has been done over the past year toshore up their protective capacity. Yet the mission remains some way short of its required funding goal of US$880 million: only a third of the target has been raised to carry out distribution of essential aid in the country. In December 2017, UN High Commissioner for Refugees Filippo Grandi made an urgent appeal. ‘The world cannot continue to stand by as the people of South Sudan are terrorized by a senseless war,’ he said. Grandi referred to the conflict as a ‘children’s refugee crisis’ due to the high proportion of child refugees created by the war. Though international leaders have slowly begun to recognise the severity of the crisis on South Sudan (the US announced an official ban on arms sales to the country in early 2018), the conflict continues to rage. Beyond the obvious need for a solution to the violence, the victims of the conflict – both in South Sudan and those who have fled across borders – are in urgent need of assistance. This piece was written by freelance journalist, Nick Jeyarajah.